Drum Lessons: Learn to play the drum set! In our drum lessons you will be learning the essential "26 Drum Rudiments", how to be effective when performing in a group, how to read and write drum chart & rhythms. We will be working with a click track to improve timing for situations such as studio recordings. No need for an entire kit in the beginning, only some sticks, a drum pad & a book or two. 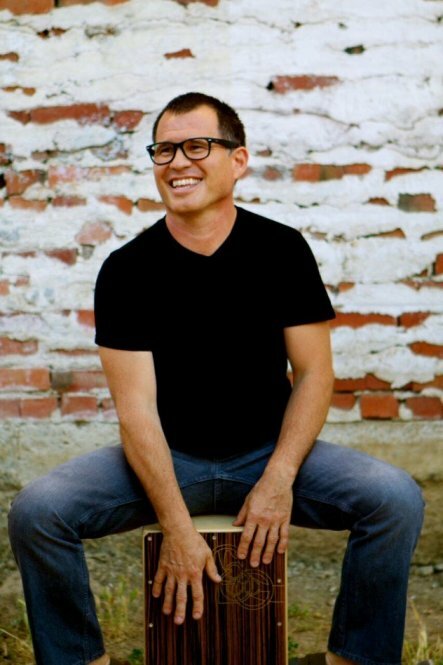 Cajon and Percussion Lessons: Learn how to play cajon and different types of percussion instruments! You will discover techniques and styles to create your own patterns and rhythmical voice as well as be able to perform with groups and other percussionists. Studied drums & percussion under Steve Stizzo, Merl Corbett, Tony Dey, and Eric Chun. Teaching assistant for 8 years in special education at Aldar Academy. Currently Cajon Player and Percussionist for Dani Joy and Dominator. Played drums at Clubs and Festivals with Greek Folk Bands, International Vocalists and Belly Dance Performers. Played percussion and drums for Worship Services and Concerts. Worked Recording Sessions and Live Performances in Sacramento and San Francisco with Local Artists. Tour drummer with Techno Pop Group supporting two top 10 Billboard dance singles.